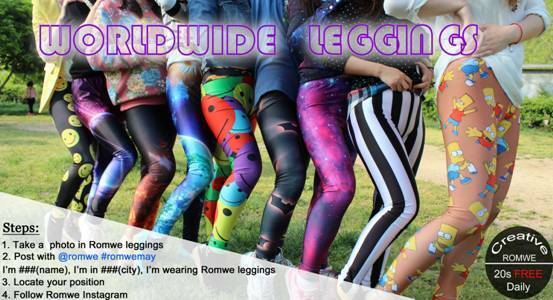 romwe worldwide leggings instagram giveaway! Everyone is a super model!! Express your feelings about life and love through clothes. We should shout it out!! Let others know how you feel. Because if you don’t tell others, others couldn’t know it. They are not you! Show your feelings! !